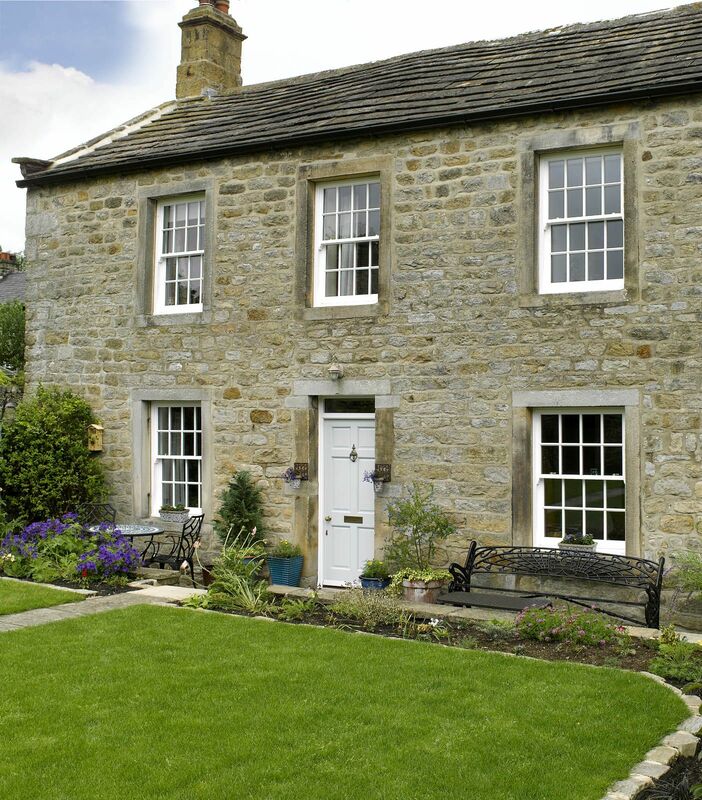 The quality of the sash windows is excellent and we are enjoying having smooth running windows that open and close properly with no rattles when the wind picks up. School House stands on the site of an original 16th century ‘cruck’ building; a traditional English timber framed construction that consists of long, bent, timber beams that lean inwards and form the ridge of the roof. The original windows were replaced in the late 18th century with Georgian-style sash windows and then updated again in the 1980’s with single glazed sashes that were poor in design and lacked period detail. Present occupiers, the Geldarts, were keen to retain the building’s integrity but also had a practical consideration – the spot is known for bad weather and the new windows would need to provide a robust barrier to wind, rain and draughts. Traditional, hardwood Conventional Box Sashes were installed throughout the property, all with astragal designs that recalled the buildings fashionable Georgian makeover. Triple draught stripping, standard on the Conventional Box Sash, eliminated down draughts whilst high performance glazing locked in warmth. The couple, who first inspected the products in our local Timber Windows showroom, were drawn to the smooth running chains as a method of hanging the sashes and specified these in a brass finish. The Geldart’s are delighted, not just with the products but also with the manner in which they were installed.